Black Rhino Barstow delivers a tough no-nonsense type of styling derived from a classic split 5 spoke design. Black Rhino Barstow delivers a tough no-nonsense type of styling derived from a classic split 5 spoke design. The aftermarket rim features a deep step lip leading to a thick bead-lock style ring that serves a purpose to protect the wheels valve stem. Even more rugged is the newly engineered Textured Rough Matte Black made to compliment durable tub/ute liner coatings found on 4x4’s. Other finishes include a Textured Matte Black or Matte Bronze with Matte Black Lip Ring (etched Black Rhino Spoke Logo) for 4x4 and SUV owners that want a complimenting colour scheme. 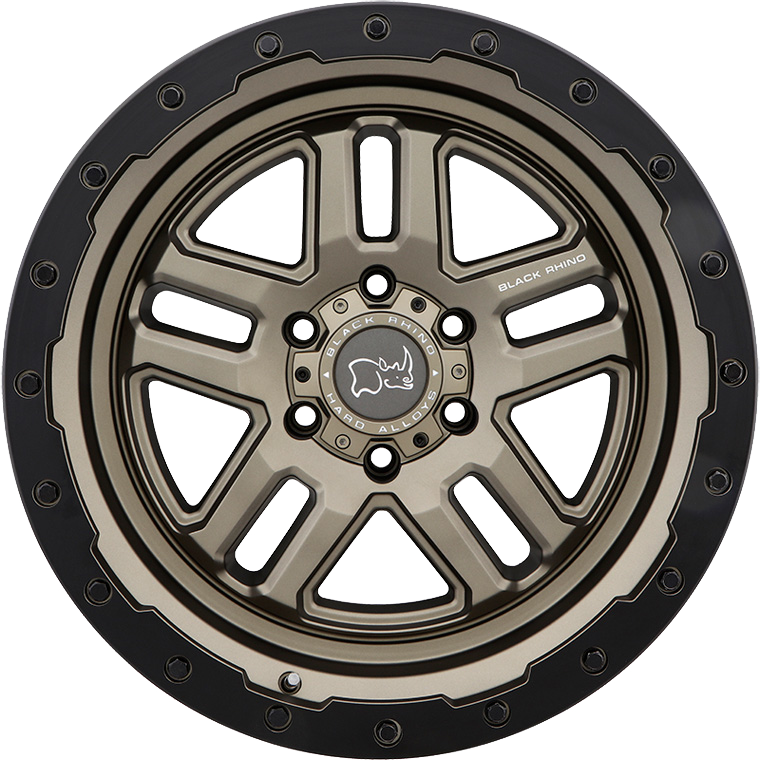 The Barstow is available in 17, 18, and 20 inch in multiple offsets across 5 and 6 lug PCD patterns to accommodate a wide range of vehicles.